Did you know that Radwell’s quality offerings support NC & CNC Machinery? With easy installations and easy applications, we know that you’ll be more than satisfied with our CNC repair services, as well as our great customer service. We Support All Your CNC Needs. Radwell is capable of repairing or exchanging thousands of CNC electronic items for most CNC machines/controls. Some of our capabilities include CNC spindle drive retrofitting as a cost saving tool. Whenever possible, CNC repair items are test run in one of 24 actual machine tool test beds, or in numerous test controls and drive stations at the Radwell Texas facility. New Jersey has additional test assets. The vast majority of repairs and exchanges are thoroughly tested before being released to the customer. - Thousands of motors, drives, boards, power supplies, and displays available for immediate exchange. - 25 CNC machine tool fixtures allow for full test capabilities. - Over 2,600 test fixtures for superior repair testing. - We coordinate all your repairs and accommodate rush repairs. - All repair & Radwell Certified Pre-Owned comes standard with a 2-Year Warranty. - Optional 3-Year Warranty available. - Custom testing available. Call for details on your specific equipment. - We offer free repair pick up (where available). - Multiple Radwell International, Inc. repair facilities. - We are ready around the clock to solve your machine down situation. - Choose from over 20,000 manufacturers for brand new product. CNC or Computer Numerical Control is a broad term that is used to cover metal & wood cutting, grinding, fabrication (punching & bending), and plastic extrusion machines. All but the extrusion and grinding machines use traditional drill bits of one sort or another to do the cutting. Grinding is done with a wheel, often using diamonds as the abrasive material. Plastic manufactures heat the plastic pellets and push the molten mass thru nozzles into molds in order to create their products. Additional methods of cutting are wire EDM, Plasma, Laser, and water. 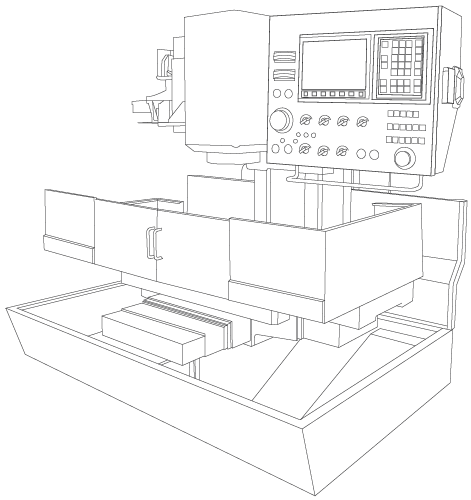 What are the main parts of a CNC Machine? CNC machines are made up of two parts (often two OEM’s) a mechanical machine (hardware, iron), and the control (electronics). For instance, a Mori Seiki lathe with a Fanuc control. Determining the control manufacturer is the more important piece of information. Some of the major control makers include: Fanuc; Okuma; Mazak; Yasnac; GE; Allen-Bradley; Siemens; Cincinnati-Milacron; Haas; and Fadal. While not control makers, Yaskawa, Mitsubishi, and Fuji make drives, etc. used by the machine tool makers. Radwell is capable of repairing or exchanging thousands of CNC electronic items for most CNC machines/controls. 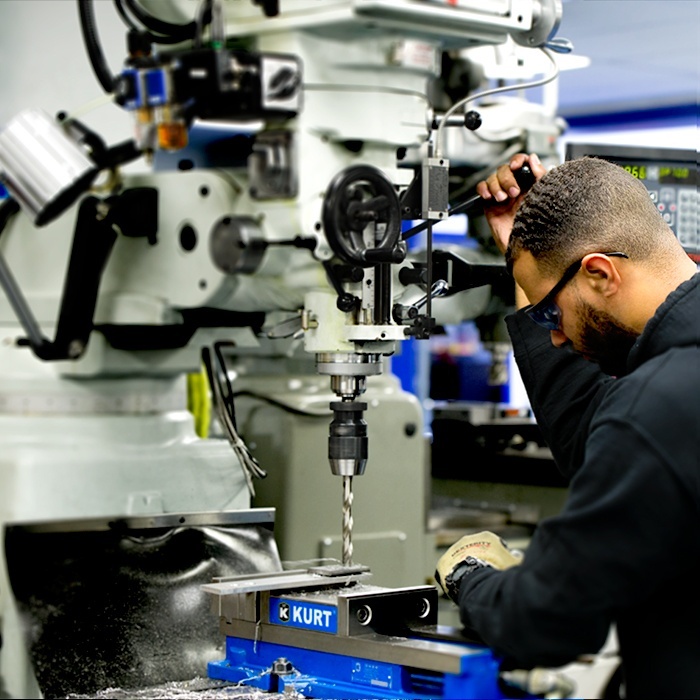 Whenever possible, CNC repair items are test run in one of 24 actual machine tool test beds, or in numerous test controls and drive stations at the Radwell Texas facility. New Jersey has additional test assets. The vast majority of repairs and exchanges are thoroughly tested before being released to the customer. Nowadays the vast majority of companies don’t keep spares on the shelf. So when a machine fails, there is an urgency regarding turnaround time. Exchanges (AEX’s) can reduce the downtime. We will be working to put more pre-certified parts on our shelves to respond to their needs. If they need a RUSH repair, we need to hear about issues with their equipment ASAP. Try to obtain problem descriptions. This can make a huge difference in the repair time. Encourage the customer to make notes about error codes, alarm codes, and light patterns. If drives are suspect we’re most interested in the alarm or LED configuration on the drive itself. Your customers are always welcome to call our engineering staff to discuss problems. Here again, the call will be more productive if they have alarm code information when they call. CNC support means responding quickly to the problem. Customers call when a machine fails. Sometimes they can move a job to another machine. In which case they can choose a routine repair. There are options other than Radwell, so we strive for fast but thorough repair of their item. It can be 6 months or a year between calls, but they will remember and choose Radwell if we do the job right the first time, on time. Radwell Texas has a core group of technicians and engineers who have 28-40 years of experience with CNC parts. Their knowledge and abilities are extensive.